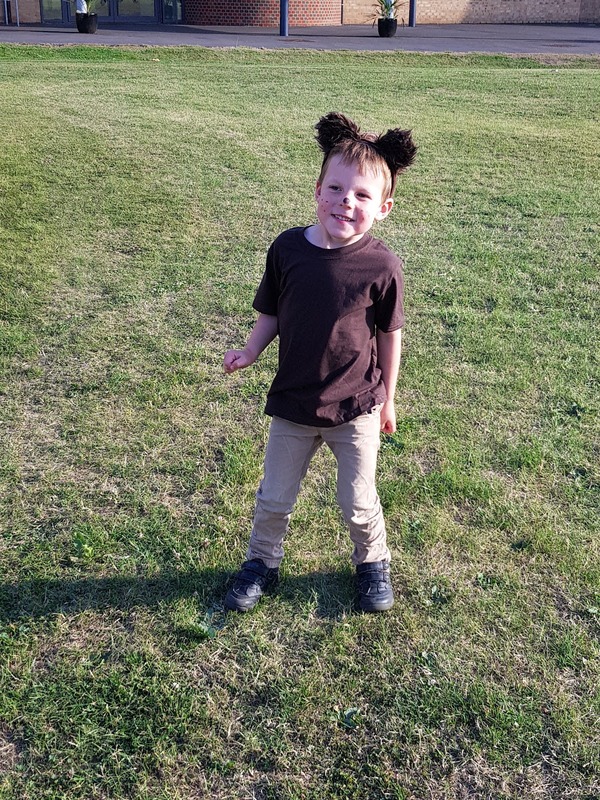 A letter to my not so little boy at the end of his first year at school, in EYFS. Words cannot express how proud I am of you. This year you have exceeded all my expectations and surpassed in your first year at school. This time last year I was massively fretting about your transition to school. You were so shy and quiet and often would hang to us like a limpet. There was some confidence but you weren't sure how to handle yourself in new situations and I honestly thought school was going to be a real issue. I was wrong. You proved me so wrong. Your confidence and ability was there, hiding away and the school we chose for you has brought it out of you.....slowly but surely. I can't believe you're nearing the end of your first year at school, it's gone so quick, I'm excited for your journey in year 1, but also sad that you are growing up so quickly and you're certainly not so little anymore! You've shot up in height as well as growing in intelligence and confidence. You've also started eating us out house and home! Clearly school is very hungry work. You started the year off unsure, nervous but excited. You looked so teeny in your uniform, taking you to school for your transition days was so new for us all. I never really felt emotional about it, I was excited with a little apprehension. I was worried who would cut up your food for you, how would you manage going to the toilet in a new environment and would you make friends? 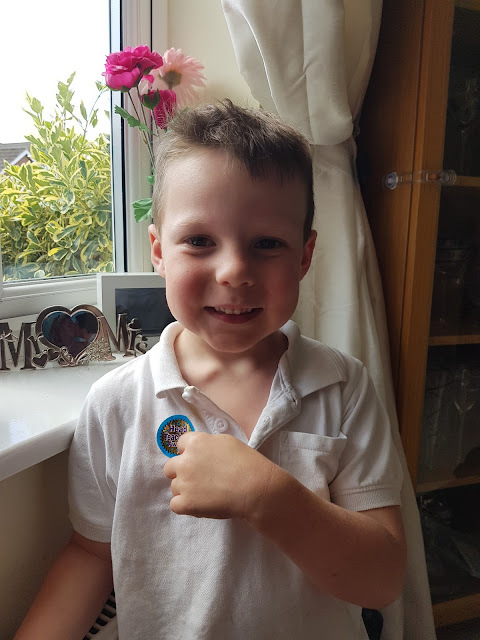 I knew deep down you were ready for school physically and mentally but emotionally I wasn't sure, pre-school wasn't really cutting the mustard anymore, plus you hadn't cemented any friendships as you joined half way through the year. I'm sorry we upset the status quo son by moving, it was the best thing to do for you though as we wanted you settled in a school and not move you when you'd started in reception. You settled in fairly quickly, the class was so small as is the school, which is just what we wanted for you. Your teachers friendly and approachable and your head teacher is fab. There were no tears, we expected some but there were none, not really even a wobble. It's like you grew up over night. Yes you were quiet, it has taken you a long time to come out of your shell and find your confidence but we've watched it emerge over the last few months. You end of term report also tells us you are starting to develop in said confidence and finally finding your feet, you've also expand your horizons to playing with jets and not just trains and dinosaurs. You've made a really nice bunch of friends and with that comes some lovely friends for us, so for that I am thankful. It's the sort of school where you tend to recognise most people and there are so many opportunities presented to not just you but us as well, meaning we've really become part of the school. You don't limit yourself to making friends within your own class, we often hear you've been playing with the year 1's and 2's and sometimes the year 6's! You certainly tell us if you've been playing dinosaurs with your buddy or football with the older boys! The 1st time you got 'star of the week' in October my heart literally burst. You stood in front of us and the rest of the school to get your certificate. You were a little shy but I knew how hard you'd worked on your writing and I was delighted to see the pride in your face. Even in that short time you'd learnt to write your name and being a leftie that was most certainly a challenge. Throughout the rest of the year you have amazed me with your achievements picking up several headteacher awards for your work. I know just how hard you've worked and each and every certificate you have earned is thoroughly deserved. You've also participated in so many lovely things over the year, some that have required an element of participation from you. Most recently the amazing Robin Hood production that the school put on before the current year 6's leave. You were a teddy bear and a fine teddy bear you were too! You had to sing and do a little performance, when they brought you all out into the auditorium you all looked so overwhelmed but when the music started you actually performed and once again my heart could have burst out my chest with pride. As much as I'm sad that your first year at school is rapidly coming to an end I am so excited for you to be in year 1. I'm looking forward to the journey you're going to take and what you're going to learn, where will the next year take you I wonder? How are you going to develop? You keep applying yourself as you have this year son and you'll go far, keep it up. So, my not so little boy, aim high, work hard and you will go as far as the stars. So much love and pride for you. Aww! They always seem to grow so much over the first year at school.. They sure do grow fast don't they? The twins are off to preschool in a few months. I can not believe it. This is lovely :o) My daughter will be in her last year of primary school next year. I have no idea where the time has gone! Oh what a lovely letter. Such a big year for them. N is just finishing year 1 - for him that's been the big achievement year (last year he just wanted to play) Do come and link this up to #schooldays if you want. I am almost certain that when my daughter was born time began to speed up! My son is moving up to year 1 after september he was quiet at the beginning of the year especially as he didn't know anyone as we moved to a new area days before he started school he has finished with friends from 2 reception classes as well as children from year 1 and nursery he goes to nursery himself while I'm at work and is very popular there too I'm so happy he has achieved so much this year.